The public voting for the HMAs just closed but surprises keep popping up. California crossover heroes The Fever 333 (featuring Jason Aalon Butler of Letlive.) 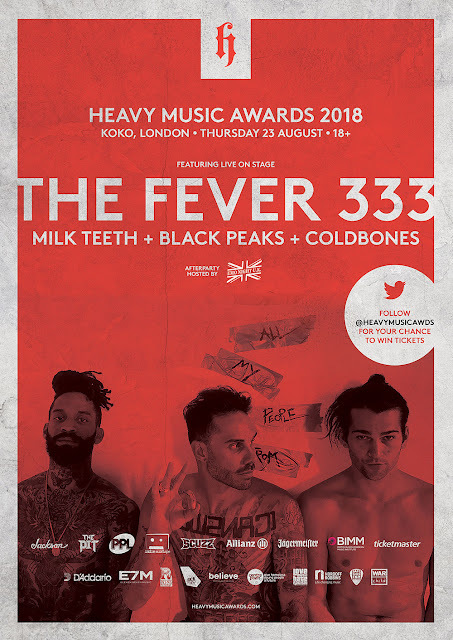 will headline the second annual Heavy Music Awards at London KOKO on 23 August, with support from Milk Teeth, Black Peaks and Coldbones. In addition, Emo Night UK will be hosting the afterparty with some very special guest DJs on a night which will also see the winners announced across 10 categories, as voted by the public.